The ‘Speed-to-Market team’ at Mars Canada manages critical business processes across several divisions, handling data from disparate sources such as Sales, Finance, Research & Development, Marketing and Distribution. 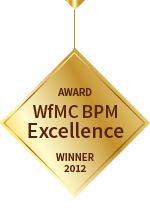 Prior to BPM, the team relied heavily on IT developers and outside contractors for process improvements. In order to respond to changing market dynamics, Mars Canada needed to make process changes fast and deploy processes applications quickly. By implementing Bizagi BPMS, the ‘Speed to market’ team added workflow to its Supply Chain function, enabled better process control and empowered the business to manage process changes with minimal IT support.